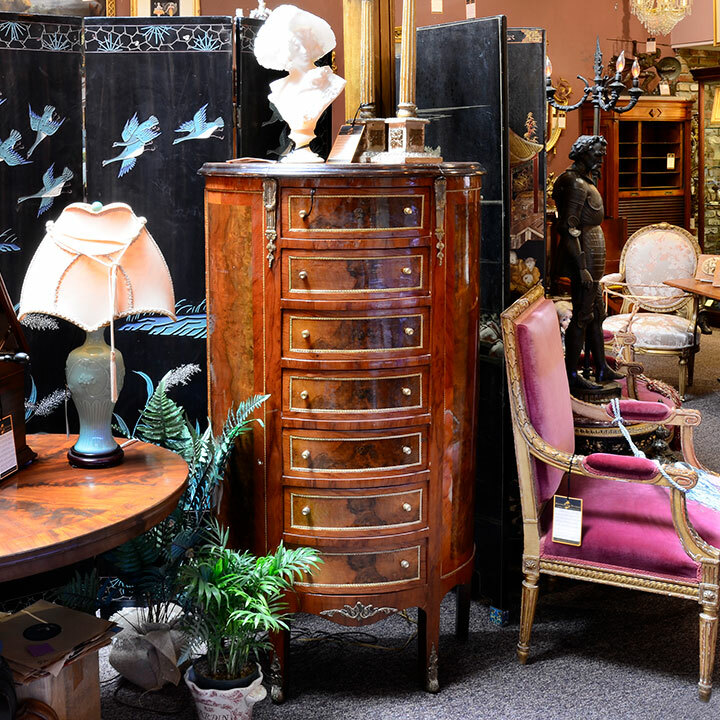 This month's Staff Picks from our sales team include beautiful jewelry, stunning furniture, and memorable fine art. Read on to find out what we're loving this month! Michael's choice for this month is the demilune chest above. "Although this is not a true antique, it is a visually appealing throwback to more elegant furnishings of the 19th century," he says. "I love the burl walnut inlaid panels & the decorative gilt accents. It is a nice compact size with plenty of drawer space. It would be a great addition to the well appointed boudoir." Below is Misty's Staff Pick, a beautiful pearl enhancer. "A beautiful way to dress up your favorite pearl strand, this 18 karat gold heart shaped pearl enhancer features 1.8 carat total weight of diamonds," Misty says. "This is an expertly crafted, custom made pave diamond heart at an unbelievable price!" Lori has chosen an oil on canvas of a harbor scene. 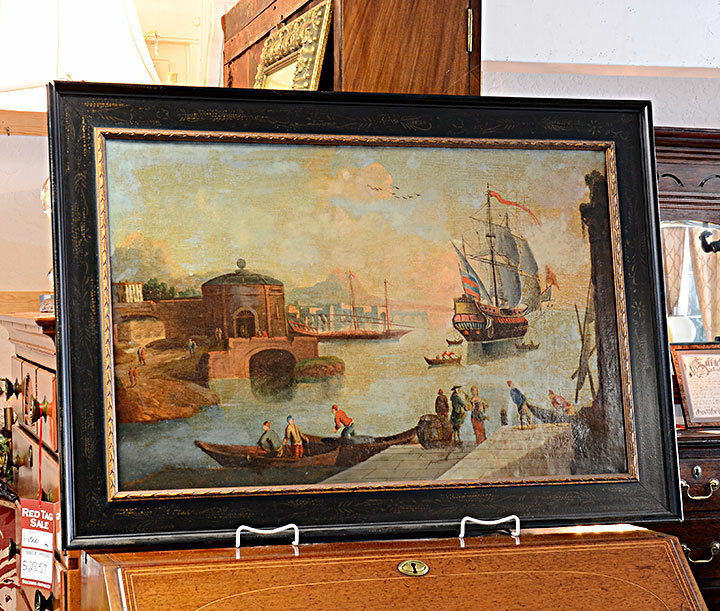 "My staff pick is a 17th century oil on canvas of a harbor scene. It's truly amazing to have a piece of art this timeless in our store. I love pointing it out to people who visit!" Another piece of furniture is Kathy's choice for May. "This hand made, one of a kind, beautiful oak table is the perfect marriage of antique and modern. The pedestal base is made up of four antique hand carved oak columns that were re-purposed from architectural details taken from a stairway," Kathy says. "It features a grape and leaf design with a beautiful hand wrought rose placed in the very center. The table top is a sleek piece of round glass with polished edges. 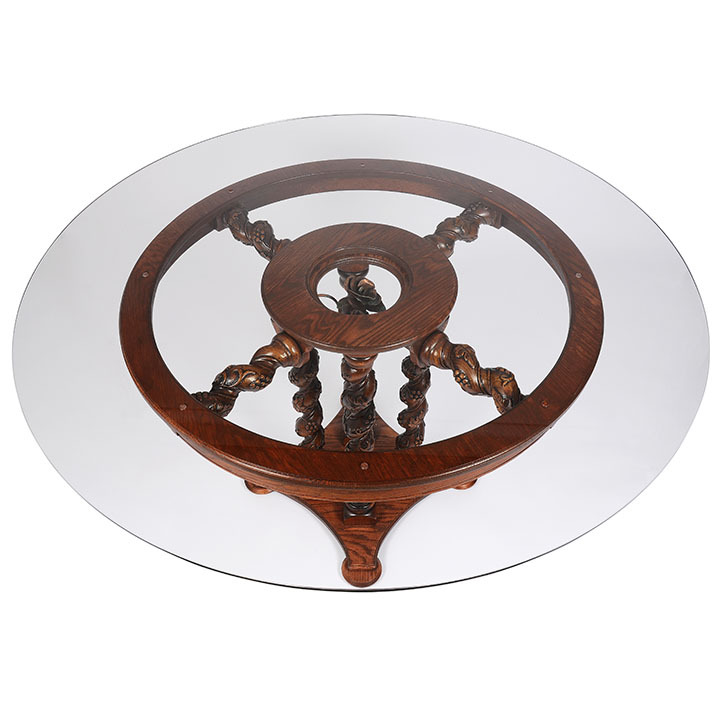 The glass top allows you to gaze down onto the center rose and the beautifully detailed base. You will never see another table like this one." A unique piece of art is Judy's May pick. 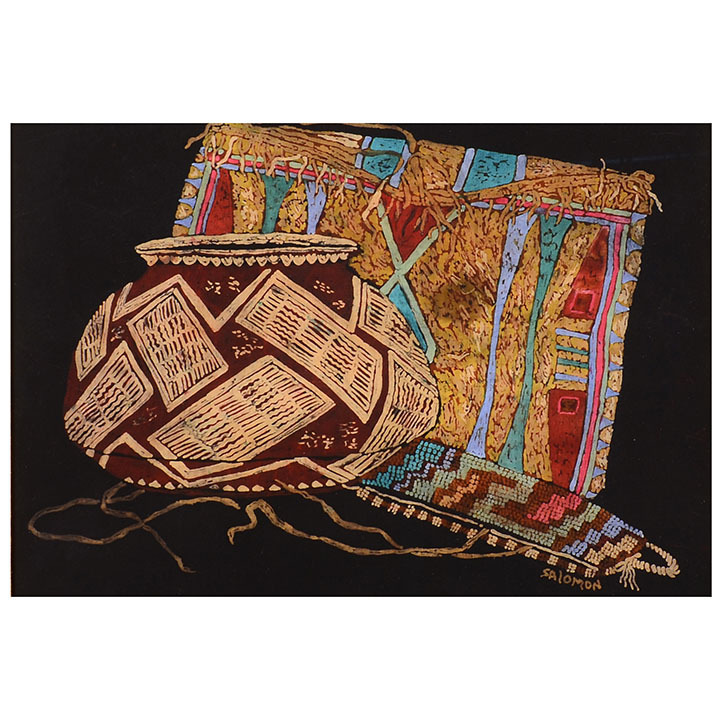 "For this month I would like to select a beautiful batik by Marilyn Salomon titled 'Ageless Treasures'. Few people realize the level of excellence necessary to complete a painting of this complexity. Batik is an ancient wax-resist technique for creating incredibly unique and detailed pieces of art. A design is drawn with hot wax on a piece of fabric, and then it is put in dye which will not penetrate the waxed areas. The wax is then removed, and must be repeated multiple times to achieve different layers of color." Vida's Staff Pick this month is a beautiful gemstone bracelet. "My pick is a beautiful estate bracelet in rich 18K yellow gold and features an array of precious gems. This bracelet has two cabochon sapphires, two cabochon rubies and two cabochon emeralds surrounded by 1.20 CTW of diamonds. Exceptional bracelet to add to any collection!" For more Staff Picks, click here!